In the previous tutorial, we learned the basics of creating and using simple repeating patterns in Photoshop. We designed a single tile using the Elliptical Marquee Tool and the Offset filter. We then saved the tile as a pattern. Finally, we selected the pattern and used it to fill a layer, with the pattern seamlessly repeating as many times as needed to cover the entire area. 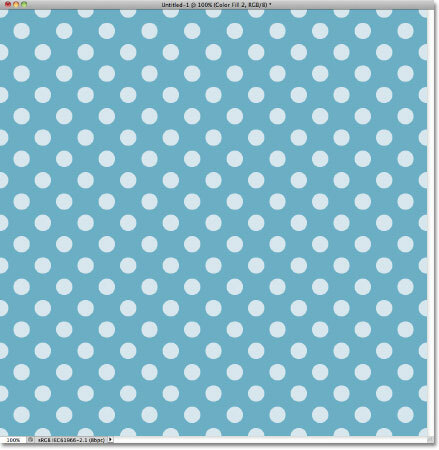 This tutorial continues from where we left off, so you may want to complete the previous section where we created and added our "Circles" pattern if you haven't done so already. The main problem with the repeating pattern we've created so far is that it's not very interesting, and a big reason is that it's nothing more than a black pattern in front of a white background. In this tutorial, we'll learn how to spice things up a bit by adding colors and gradients! As before, I'll be using Photoshop CS5 here, but any recent version of Photoshop will work. Black circles against a white background. Not terribly interesting. Click on the Background layer to make it active. Choose a color from the color picker to use as the background color for the design. The white background has been replaced with blue. A solid color fill layer now blocks the white Background layer from view in the document. Click on Layer 1 in the Layers panel to make it active. Choose a light blue, or a different color if you prefer. The document after adding a solid color fill layer above the circles pattern. The new fill layer appears above the other layers. 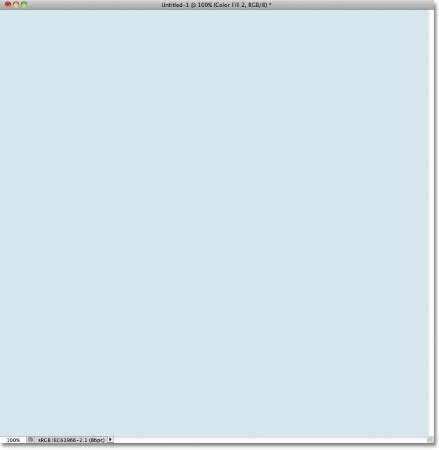 Unfortunately, since the fill layer is sitting above all the other layers in the Layers panel, it's blocking everything else from view in the document, which is why all we see is light blue. We need a way to tell Photoshop that we want our new fill layer to affect only the circles pattern on Layer 1 below it, and we can do that using what's called a clipping mask. An indented layer means it's clipped to the layer directly below it. The same black and white pattern, now in color. Double-click directly on the thumbnail for the Color Fill 1 layer. Choosing a new color for the background. The background color has been easily changed. Double-click on Color Fill 2's thumbnail. Choosing a new color for the circle pattern. Both the background and circle pattern colors have been changed. Black circles in front of a white background once again. Choose Gradient from the list. Select the Use Previous Layer to Create Clipping Mask option. Click on the gradient preview thumbnail. 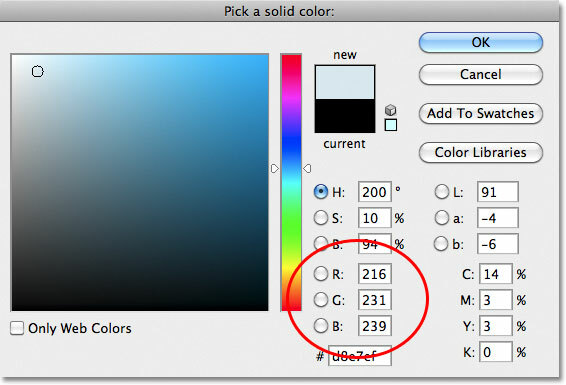 Clicking on the Spectrum gradient's thumbnail to select it. 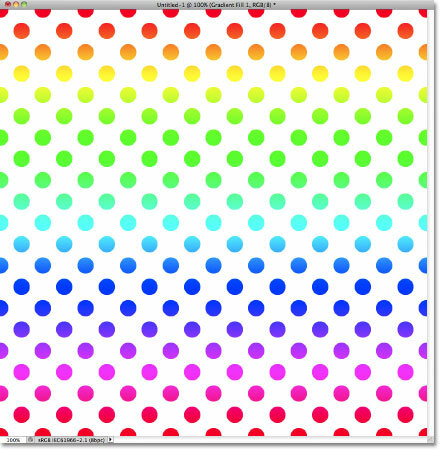 The Spectrum gradient turns the black circles into a rainbow of color. Click on the small arrow icon. 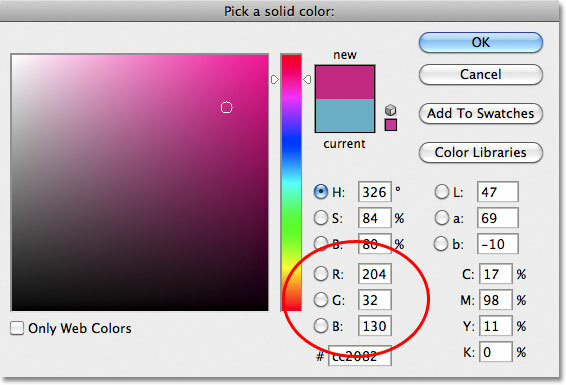 Selecting the Color Harmonies 2 gradient set. 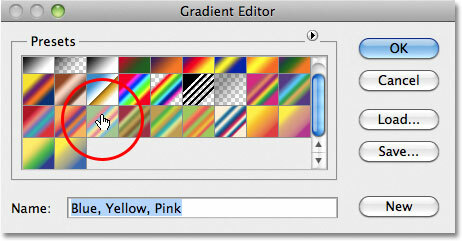 Add the new gradients in with the current ones by choosing Append. Clicking on the Blue, Yellow, Pink gradient's thumbnail. 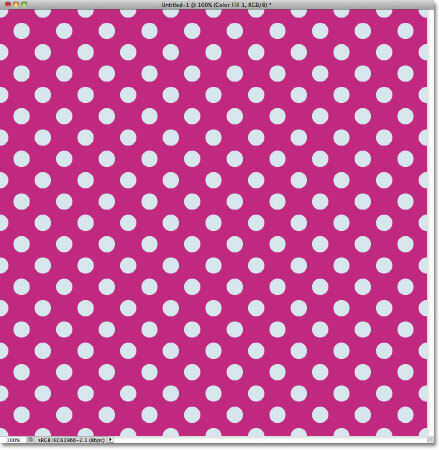 The new gradient gives the pattern a softer, less intense look. 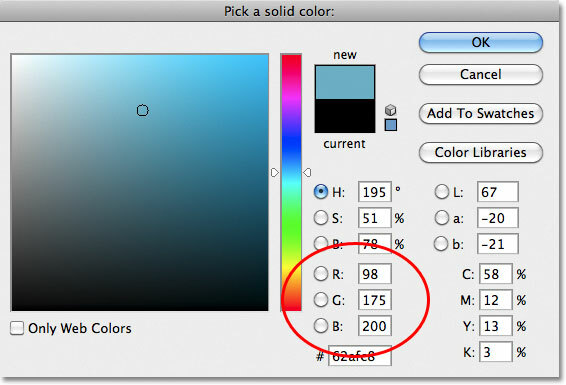 Once you've found a gradient you like for your repeating pattern, click OK to close out of the Gradient Editor, then click OK to close out of the Gradient fill dialog box. Double-click on the Gradient fill layer's thumbnail. Click again on the gradient preview thumbnail. Selecting the Pastels gradient set. Clicking on the Green, Purple, Blue gradient's thumbnail to select it. 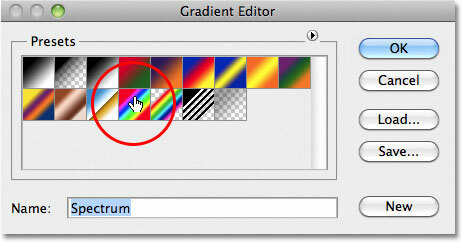 It's easy to switch gradients at any time with Gradient fill layers. A Gradient fill layer colorizes the pattern while a Solid Color fill layer now fills the background. And there we have it! 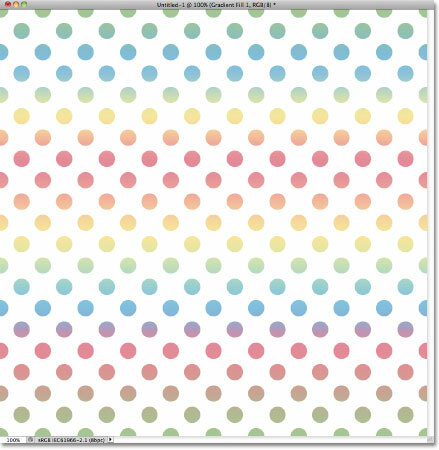 That's how easy it is to colorize repeating patterns with colors and gradients! 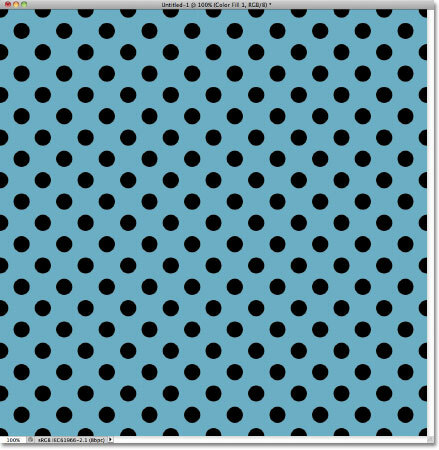 Up next, we'll look at how to create fun and interesting repeating patterns with Photoshop's custom shapes! Or visit our Photoshop Basics section to learn more about Photoshop!